The Nolans released the album 'Portrait' in 1982. The album, like its predecessor, was produced by Ben Findon and Nicky Graham separately. Both producers were now giving the songs a heavy disco sound such as 'Don't let it go by' (by Findon) and 'Chemistry' (by Graham). 'Chemistry' was released as a single, which peaked at number 15 in the UK singles chart. Meanwhile, 'Portrait' finished as one of the top 100 selling albums of 1982 in the UK and was certified gold by the BPI. In 1979, the Nolan Sisters participated in the UK national final for the Eurovision Song Contest with the song 'Harry my Honolulu lover'. It was considered a favourite before the final took place, but in the end it came fourth, with Black Lace going on to represent the UK. The group was picked up by Epic Records and the song was released as their first single for the label. It failed to chart. The follow-up 'Spirit, body & soul' was released in October 1979 and was ore successful: it peaked at number 34 . 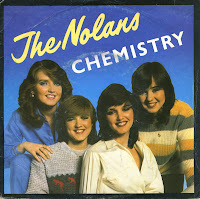 The Nolans released their album 'Making waves' in 1980. While it only peaked at number 11 in the albums chart, it had the longest chart run of their career, spanning 33 weeks. 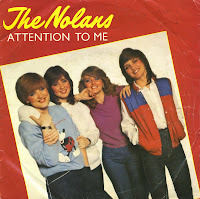 Four singles were taken from the album, of which 'Attention to me' was the best known. 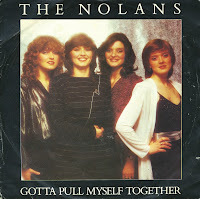 'Gotta pull myself together' was released as the third single from the album in the autumn of 1980. It reached number 9 in the UK singles chart and number 8 in Ireland. It was also their first Australian chart hit, peaking at number 3 in 1981. 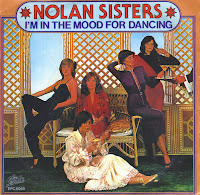 In 1980, the Nolan Sisters changed their group name to the Nolans. Following her marriage, Anne temporarily left the group and Coleen was made a new official member. Their 1980 album 'Making waves' peaked at number 11 in the UK albums chart but stayed in the chart for 33 weeks. Four singles were drawn from the album, of which 'Attention to me' was the last one. It reached number 9 in the UK singles chart, number 5 in Ireland and number 7 in the Dutch Top 40. Tommy and Maureen Nolan, who had both worked as singers in Ireland, moved their family from Dublin to Blackpool in 1962, and launched a family singing group, The Singing Nolans, in 1963. The original lineup comprised the parents, sons Tommy and Brian, and daughters Anne (born November 12, 1950), Denise (born April 9, 1952), Maureen (born June 14, 1954), Linda (born February 23, 1959) and Bernadette (born October 17, 1960). 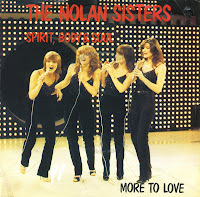 In 1974 the five daughters began performing as The Nolan Sisters. They released one uncharted single on EMI in 1974 and several more on Target Records between 1975 and 1977. After signing with CBS subsidiary Epic Records in 1979, the group enjoyed their greatest period of commercial success. At the end of 1979, the group released the disco-flavoured single 'I'm in the mood for dancing', which became their best-known tune and biggest hit. It reached number 3 in the UK, number 2 in Ireland and the Netherlands and number 1 in Japan.